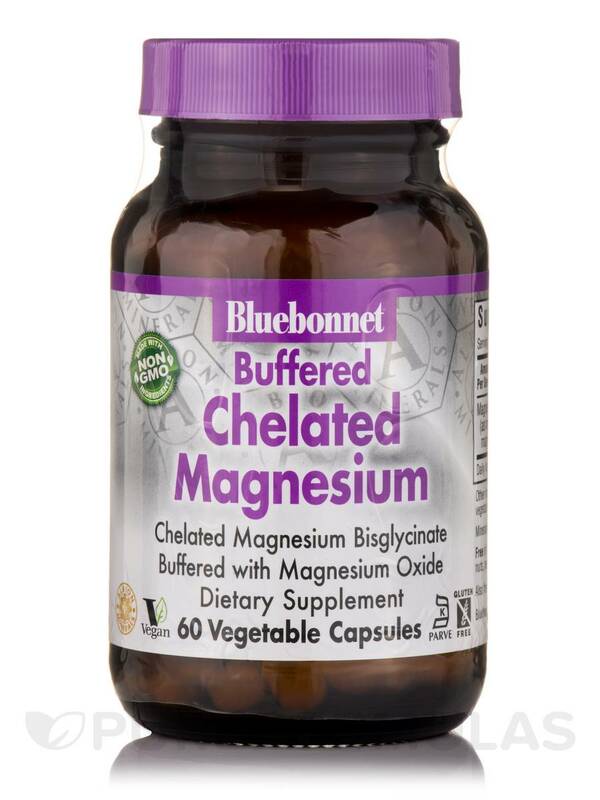 Pleased with Buffered Chelated Magnesium by Bluebonnet Nutrition and reliable brand. Capsule is preferable to tablets. 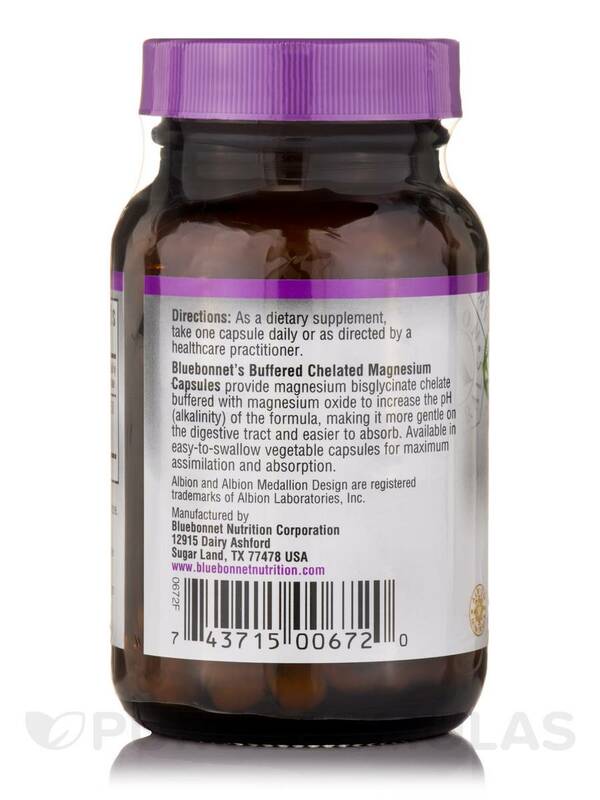 Chelated Magnesium Bisglycinate Buffered with Magnesium Oxide! 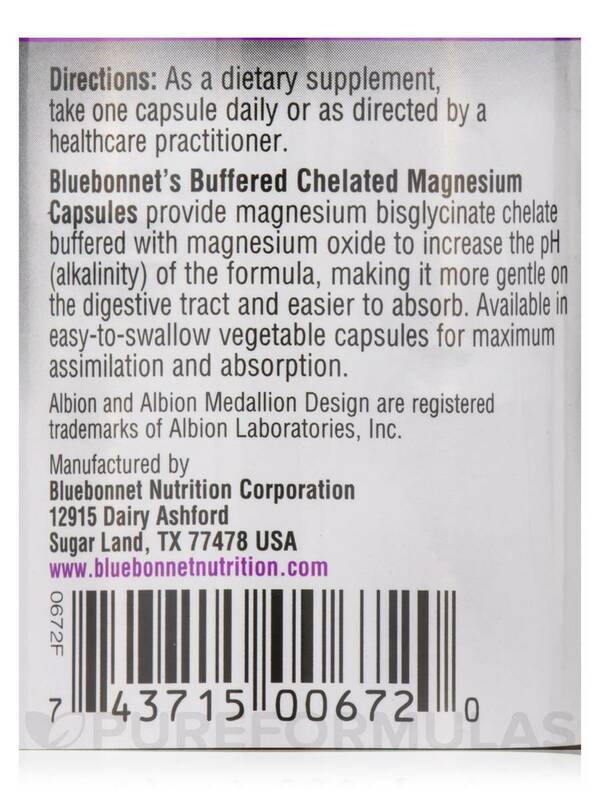 Bluebonnet’s Albion® Buffered Chelated Magnesium Capsules provide magnesium bisglycinate chelate buffered with magnesium oxide to increase the pH (alkalinity) of the formula‚ making it more gentle on the digestive tract and easier to absorb. Available in easy-to-swallow vegetable capsules for maximum assimilation and absorption. 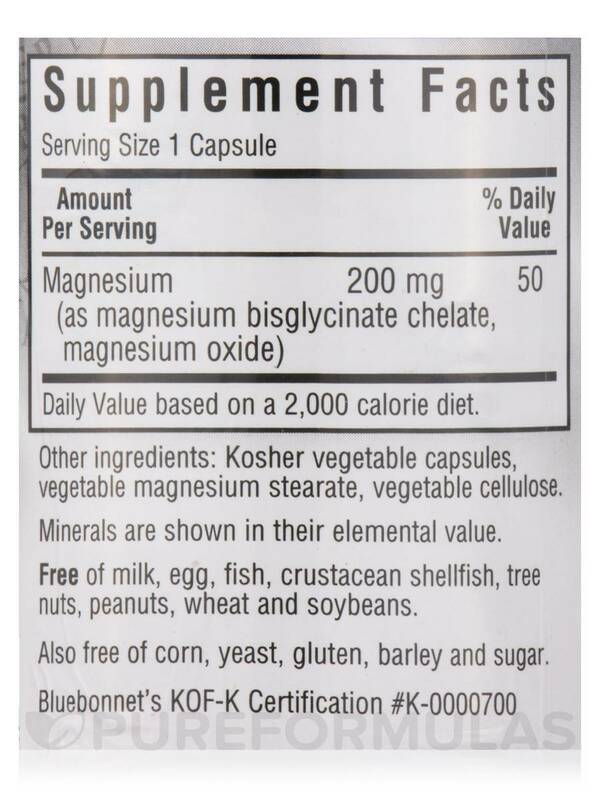 Other Ingredients: Kosher vegetable capsules‚ vegetable magnesium stearate‚ vegetable cellulose. Free of milk‚ egg‚ corn‚ yeast‚ gluten‚ barley‚ sugar‚ fish‚ crustacean shellfish‚ tree nuts‚ peanuts‚ wheat and soybeans. Made with Non-GMO Ingredients / Vegan / Vegetarian / Kosher. 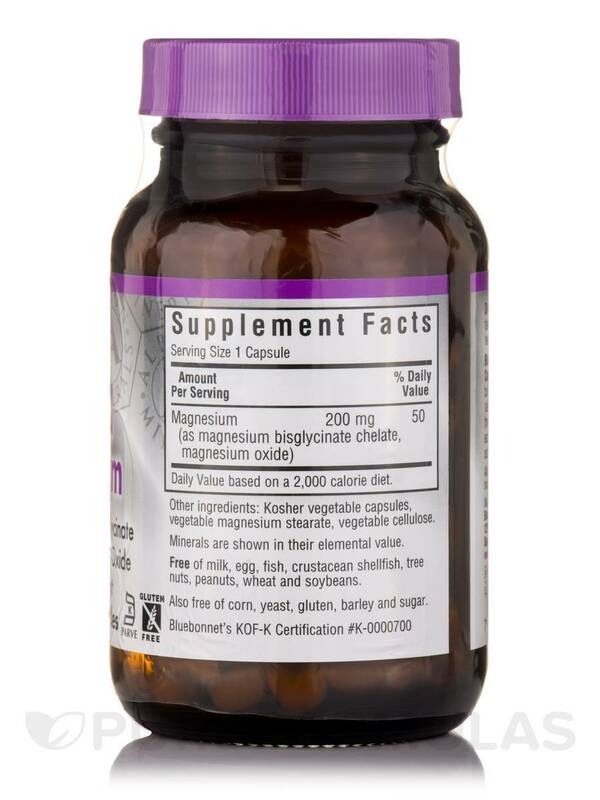 As a dietary supplement‚ take one capsule daily or as directed by a healthcare practitioner. 200 mg per capsule rather than 100 mg. Easy on stomach.